​First of all: all beaches in Hawai’i are open to the public even if they are located on resort property. Many visitors are scared off by warning signs or are asked to pay extra fees. Instead you should note that they are not allowed to refuse you entering the areas or to charge you. ​Although this beach is protected by a reef and perfect for unexperienced swimmers or children most visitors come for the sea turtles. The shore is a popular feeding ground for them and you can watch them from the shore. Only a few people come to this beach, which makes it a perfect escape from the masses. If you are interested in Hawaiian history you will find an old heiau at the shore. 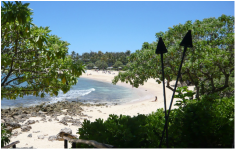 To enter the beach, park at Honokohau Harbor and walk North to take the short Kaloko-Honokohau National Historical Park trail. ​In my opinion, A-Beach is the most beautiful beach on the island. Its fine sand is lined with hundreds of palm trees in the back, the shore is shallow and clear and you have a beautiful view over the ocean. Despite you can expect amazing sunsets. If the beach is packed try the tiny coves to the left and right. 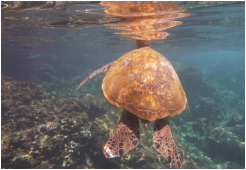 The bay is known for great swimming and snorkeling since green sea turtles frequent it. 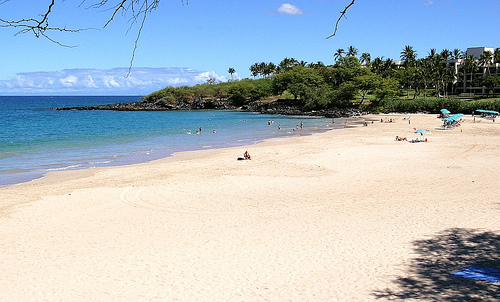 ​Hapuna Beach is the largest beach on Big Island and consistently voted one of the most beautiful beaches on Hawaii. It has a ½ mile stretch of sand that is framed by trees and some palm trees. Depending on the surf conditions this sand stretch is perfect for swimming, body surfing or even snorkeling. ​If you are staying in Kona and are looking for a closeby spot to snorkel I recommend Kahalu’u Beach Park. The reef is easy to access and the most fishlife awaits you in the middle part or further offshore at the reef edge. Even if the area is packed you will find an empty spot since most visitors stay close to the beach. Aside you can see a surf spot. If you like to try surfing Kona Surf School offers lessons and rents equipment to guests. ​One of the best snorkeling on the island awaits you in Honaunau. Flat lava rocks are spread in the water where you can rest or sunbath when you are not snorkeling but still are able to watch the colorful fish in the clear waters. Furthermore, there is a high chance to see spinner dolphins that often come to the bay to take care of their young. The only downside of this area is that you either have to park on the street or within the National Park where you have to pay an admission of $5 per car. ​To reach the rare green sand beach, which is one of two in the US, you have to hike East from South Point (except you have a 4WD) and climb down a partially collapsed lava cinder cone. Make sure you climb over the lowest or the middle part of the cone. Avoid the highest point since it is very unstable. The green sand comes from olivine, a silicate mineral, found in lava. As soon the olivine is exposed to water its sediments are turned into green sand. So far there is cinder cone left that carries enough olivine but geologists say that this source will die out soon and the beach is going to look like any other beach. 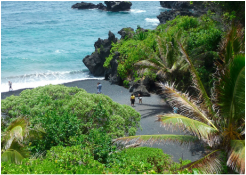 ​Between Volcano National Park and South Point lies a beautiful Black Sand Beach you shouldn’t miss if you are around. The setting is incredibly scenic with high palm trees and a pond framing the bay. And if you are lucky you will run into one of the many sea turtles that are usually relaxing ashore. Further, the beach is perfect for swimming, snorkeling or just sunbathing. Just make sure you don’t harass the sea turtles. 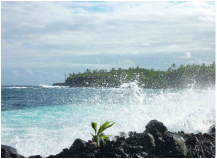 ​South of Hilo you can expect some awesome snorkeling in very calm, shallow and protected tide pools. These pools are filled with fish and other sea creatures making it a big fun to explore them. You are able to go from one pool to the other even if you are an unexperienced swimmer or a child. For those who don’t want to snorkel some exposed flat lava rocks offer small islands to sunbath in the pools. Just bring some reef shoes to assure not to be cut by sharp rocks. The best time to hit the pools is during week. During weekends the area will be packed! ​If you are looking for a natural Jacuzzi heated by a volcano you should stop at Ahalanui. Palm trees frame the pool and you can listen to the surf crashing against the man-made seawall and shore. Sounds like paradise? It is for sure! 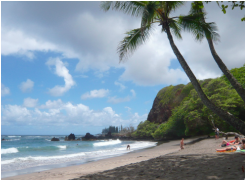 ​Just around the corner from Ahalanui you should stop at Isaac Hale Beach Park. This is a popular local spot and you might not be quite welcome. Ignore it and marvel at the beautiful scenery for some time. The beach is bad for swimming and more known amongst surfers since high waves occasionally hit the shore. Many travel books recommend a trip to Molokini as must-do while staying on Maui. If you are not in the mood to circle the crater with tons of boats and if it comes worse drop anchor at a third-class spot, Black Rock at Kaanapali Beach is a great alternative. The Black Rock divides the endless beach in two halves and has a seaturtle guarantee. Corals circle the lava rock and this food source attracts hundreds of colorful fish and sea turtles. If you snorkel here pay attention to the current and surf to avoid being pushed to close towards the rocks. The beach is located behind the resorts at Kaanapali Beach and the Whalers Village. Lying here you have a beautiful view towards Molokini and can expect marvelous sunsets. The best parking is at the small structure between the Whalers Village and the rotary at the end of the street. Although there are only 12 assigned lots for beach guests that are most time occupied, its worth to wait for several minutes. There is a permanent coming and going. Next to the structure goes off a small trail that ends at the beach. Continue to the right and you will approach the Black Rock. 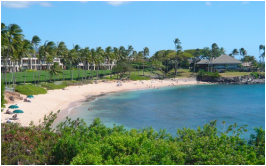 ​Kapalua Beach belongs to the most beautiful beaches in the US and is a must-do on Maui in my opinion. The beach itself is small but as soon as you enter the water you feel like sitting in an aquarium. The reef in front of the beach is known for hundreds of fish and if you are lucky you even see wales passing the bay in the distance (this happens likely in winter or spring). Behind the beach you have a little path that leads along palmtrees towards Oneloa Beach and the Ritz Carlton hotel in Kapalua. More details about the trail are listed in the sports section under Hiking. The beach’s parking lot is located at Coconut Grove Lane, which is usually packed, but similar to Black Rock it just takes a short while until someone leaves. 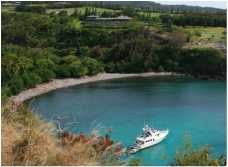 ​At HWY 30 north of Kapalua follows a small lookout from where you have an awesome first look over Honolua Bay. There is no official parking for the bay below and you have to park at the curb. Along the road are several small trails that are leading you downward. As soon as you made it to the shore, a stunning underwaterworld is waiting for you. The bay is a paradise in summer for snorklers and divers. In winter the setting changes and the surfers take over riding the mega waves that build up here. Sunbathing is nearly impossible since the area is packed with large stones, which also make it difficult entering the water, in particular with fins. So be careful getting them on. Locals, who are changing the opening hours down to their whim, manage the protected bay. Since the hours are variable ask them in advance how much time you have. A great alternative is to visit the bay by boat, which allows you to stay as long as you want. ​Behind Wailea Golf Club Drive (to your left coming from Wailea) at your right lies the entrance to Po’olenalena Beach. The almost ¾ of a mile (1km) long fine sand beach is framed by lava rocks, that are often frequented by sea turtles and fish. Ironwood trees give the only shade at the beach. Just be careful walking around them since there could be thorns from the trees lying in the sand. A reason why I recommend to wear flip-flops approaching the water. The beach furthermore opens a beautiful view towards Molokini crater and Kaho’olawe Island. 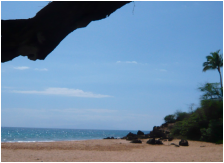 ​Big Beach is also named Makena Beach in this area and belongs to the most beautiful beaches on Maui. From the beach that is almost a ¾ of mile (1 km) long and over 100 yards wide you have an unrestricted view towards Molokini and Kaho’olawe. The beach is popular and in case it’s packed just walk over to the right and to Little Beach, which is smaller but less frequented and separated by an old lava field. Just be aware that you might run into nudists in this section. ​About 3 miles (~ 4,8km) north of Hana you find a Black Sand Beach, which is imbedded in a lava cliff and framed with sea arches and caves. The beach is a popular spot amongst snorkelers but can be uninviting during strong currents and high surf. Adjacent to the beach goes off a historic Hawaiian hiking trail leading you to Hana along lava fields with beautiful views over the area. ​The trail to Hana’s Red Sand Beach located south of Hana Beach is usually very slippery and rough. The best trail goes off Uakea Road at the opposite of the Sea Ranch Cottages. The red sand results from the crumbling cinder cone that runs around the bay. This cone also causes the unstable grounds. But the hike is worth it because the colorful contrast of the red sand and the turqouise ocean is jaw dropping when the sun is shining. Refrain from going swimming since the current is too strong and the surf too high for a safe experience. Hamoa Beach reflects the perfect picture book Hawaiian beach and is mostly deserted in the late afternoon. Many one-day Hana visitors leave before 5pm to drive back the winding highway to their accommodations. Only a few know that the southern road reopened and is passable for all kinds of cars. So it’s likely that you have the beach almost for yourself to spend a dreamlike evening ashore. The beach is perfect for bodyboarding but you should be careful since the current is strong enough to tear off your swimwear or get you off your feet! By the way, the small island in front of you is called Alau. 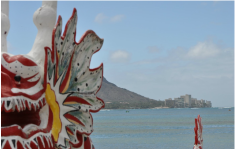 ​This beautiful beach is located west of Waikiki Beach in front of the Hilton Waikiki. It offers great swimming, snorkeling and body boarding but is also known for strong currents. However, sunbathing here comes with fewer crowds than further down Waikiki’s center and you have an awesome view towards Diamond Head and Waikiki’s hotel skyline. ​Lanikai is another awesome snorkel spot with a lot of coral but also perfect if you just want to hang out. The water is shallow and calm and protected by an offshore reef. Close by you have a view over two islands (called Mokuluas) and the neighborhood is known for expensive homes and weahlty inhabitants. If you plan to swim or snorkel here watch out for Portuguese Man-of-war, a blue jellyfish, little but painful. 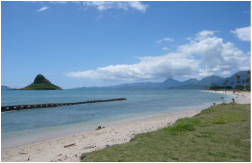 ​This stunning beach offers a great view towards an island nicknamed Chinaman’s Hat and is usually empty. Swimming is great here since the water is warm, shallow and calm. Spending a beach day here you can stock up your snacks at the Tropical Farms Macadamia Nut Outlet that is located around the corner on Kamehameha Highway. BTW you can walk over to the island during low tide. 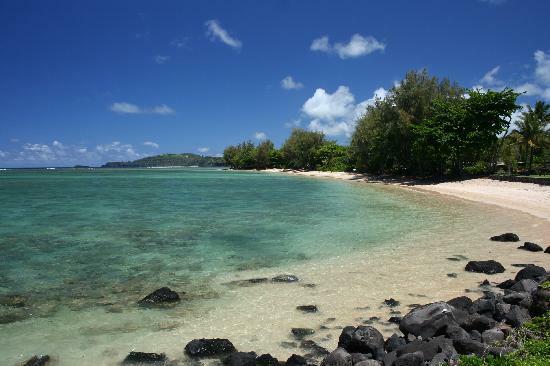 ​Secluded, beautiful, mileslong beach south of Kailua with white sand and ironwood trees. The shore is also perfect to learn surfing. Watch out for Portuguese Man-of-war, very small blue jellyfish whose sting can bother you at least two days! 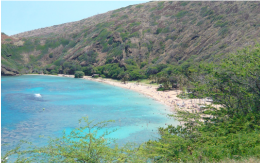 Next to the fact that Hanauma Bay has a georgeous beach (best to see in the early morning when the crowds are still sleeping) it is known as one of the most famous snorkel spots on Hawai’i. The shore is usually frequented by tons of fish that already got so used to the snorkelers that you almost get the impression they pose for you while taking pictures. Anyways, coming here you have to pay for parking and later for entering the beach. An important fact usually not mentioned in travel guides is that you have to attend a film presentation before you are allowed to enter the bay. Ther presentation describes how to behave in the water and towards the sea life. Since it is getting crowded over the day and the water is the calmest in the morning come here early to avoid being trapped in the masses. ​Waimea Bay is a beautiful long white sandy beach with monstrous and famous waves in winter and great body boarding and calm water in summer. Be careful with the strong ripdtide current that might make you stumble entering the ocean. Coming here you can watch locals jumping from the rock at the far left into the ocean or do it yourself. It also happens that dolphins frequent the area and do not mind sharing the water with you. Sometimes, especially during the weekend, it can be difficult to find parking since the spots are limited, so come early. ​This area is famous for snorkeling in summer but only if you bring reef shoes, otherwise you run the risk of cutting your skin entering the cove over the rocky area and reefs. Coming here in summer you almost cannot imagine that high waves are breaking in here in winter covering the reef completely. The cove lives up to its name and you might see some reef sharks around and sometimes even turtles but definitely some colorful fish. ​This beach belongs to the longest on Oahu with 2 miles of sand and palm trees reflecting people’s imagination of a tropical beach. In winter several surf contests are taking place along Sunset Beach with big waves around 15-20 ft. This totally changes during summer when this area turns into a calm ocean. Snorkeling isn’t bad here and you do not have to swim far hitting the rock and coral with a nice variety of fish. Although appearing calm, be aware of rip currents in this area. ​This beach is known as a surfer’s dream beach, famous for pipeline surf contests in winter and its beautiness. In winter you can watch the most talented and crazy surfers in the world. In summer the most dangerous pipeline wave spot turns into a calm ocean safe for swimmers, even kids enjoying a great beach day. 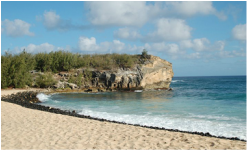 This beach is a local favorite and adjoins Sunset Beach. During the weekend you will experience locals spending their time with their families having BBQs and enjoying the ocean. Important for visitors: do not leave anything in your car!!! ​This beach isn’t great for snorkeling or swimming but awesome for watching sea turtles. It’s hard to find if you are not familiar with the area but a great indicator are cars parked along the street north of Turtle Bay Resort behind Pohaku Loa Way (coming from Turtle Bay). When I came here there were five turtles lying on the beach ignoring the crowds of people watching them. ​On the property of Turtle Bay Resort lies a small but stunning beach off to the right called Kuilima Cove. The water is calm and shallow perfect for snorkeling (if the water is clear enough) and swimming with kids. Be aware of the strong current outside the cove so you better stay within the area. BTW if you tell the parking attendant that you want to visit the beach, you usually do not have to pay for parking!!! ​Ke’e Beach is known for great snorkeling since it embeds a lagoon that is popular with colorful fish. Often sea turtles and sometimes even reef sharks find their way to the shore. If you want to stretch your legs you can hike up the Kalalau Trail to see the reef and the bigger fish from above. Off to the right towards Ha’ena starts a small path from where you have beautiful views towards NaPali Coast when you turn around. Due to the Hanakapi’ai and Kalalau Trail the parking lot and beach are packed most times so come early! 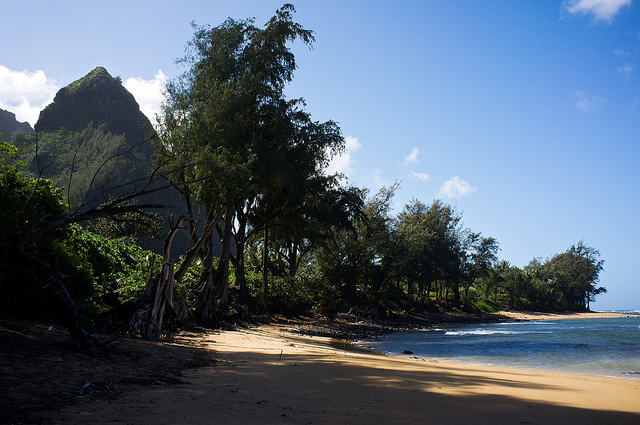 ​Beautiful beach North of Hanalei. Unfortunately the swimming is pretty bad down here but the setting is scenic. If you walk 15 minutes up the beach you reach Makua Beach, also known as Tunnels where you can expect amazing snorkeling (except winter time). A hook-shaped reef attracts plenty of fish and other sea life that lives in arches and tunnels that go through the huge reef. Furthermore the swimming is good too since the water is calm and shallow most of the time. 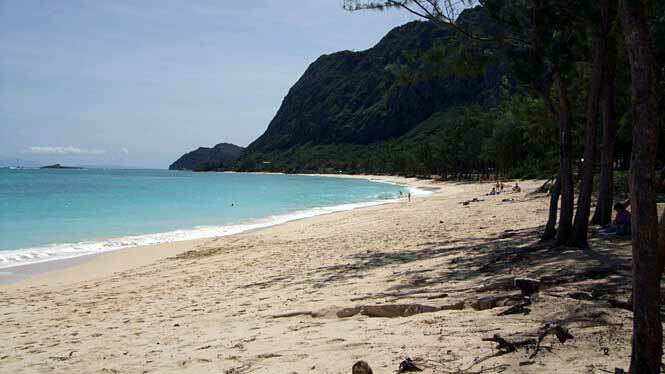 ​Wonderful long sandy beach lined by a forest and backed by the lush North Shore Mountains. In winter the bay is famous for its big waves and packed with local surfers. Unfortunately the beauty of this area depends on the weather. If it’s rainy you might don’t understand the hype about Hanalei Bay. This beach is protected by the longest reef in Hawaii and very safe to swim and popular with windsurfers. Although you might think the snorkeling must be epic here because of the reef, it isn’t. Most of the times the water is pretty cloudy so I recommend coming here for swimming, sunbathing and people watching since the area itself is known for expensive homes and as celebrity hideaway. 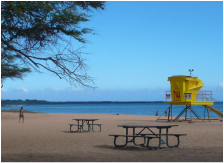 ​Poipu Beach embraces all popular beach activities, a reason why this beach is the major place at the South Shore. The left/east side is known for safe swimming. The far right/west side is popular with surfers and snorkelers. Furthermore monk seals and sea turtles love to come ashore. Just make sure to not lie down under the high palm trees to avoid being hit by a coconut… If you are afraid of chicken try to avoid the grassy area of the beach, their playground! ​Next to the mega resorts in Poipu is Shipwrecks Beach. This beach isn’t too spectacular but located next to the beautiful high ocean bluffs of Poipu. The shore is great for boogie boarding but not for swimming thanks to a strong current. If you want to stretch your legs you can walk up the cliffs to an old heiau and breathtaking vantage point. Alternatively you can stroll along the beach promenade in front of the resorts. ​Kauai’s westernmost beach adjoins the beautiful NaPali Coast and offers a 17-mile long sand stretch with high dunes. Since the current and break is very strong you should refrain from swimming here if this isn’t your strength! The area is only accessible with a 4WD although drivers of common rental cars distress the cars down here. In the early morning swarms of dolphins frequent the shore close to the beginning of NaPali Coast and during the weekend many locals camp here with their families. On the way to the far end of the road you come along a huge monkey tree. If you turn left and continue to the end of the road you reach Queen’s Pond. 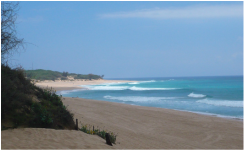 A small reef protects the area and Queen’s Pond is the only place on Polihale Beach safe enough to swim.